Apolis is a company known for their equity which means they care as much about who is making the product as much as the people using them. 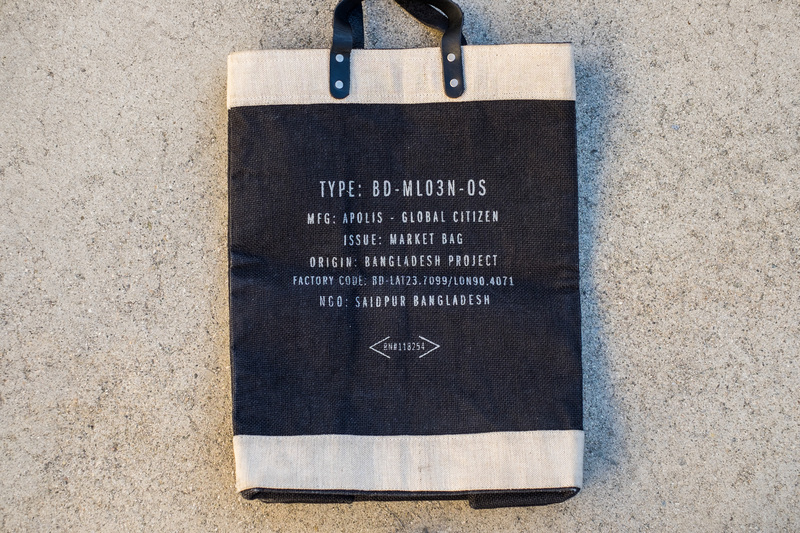 The Apolis Market Bag is a product that symbolizes what Apolis is all about. 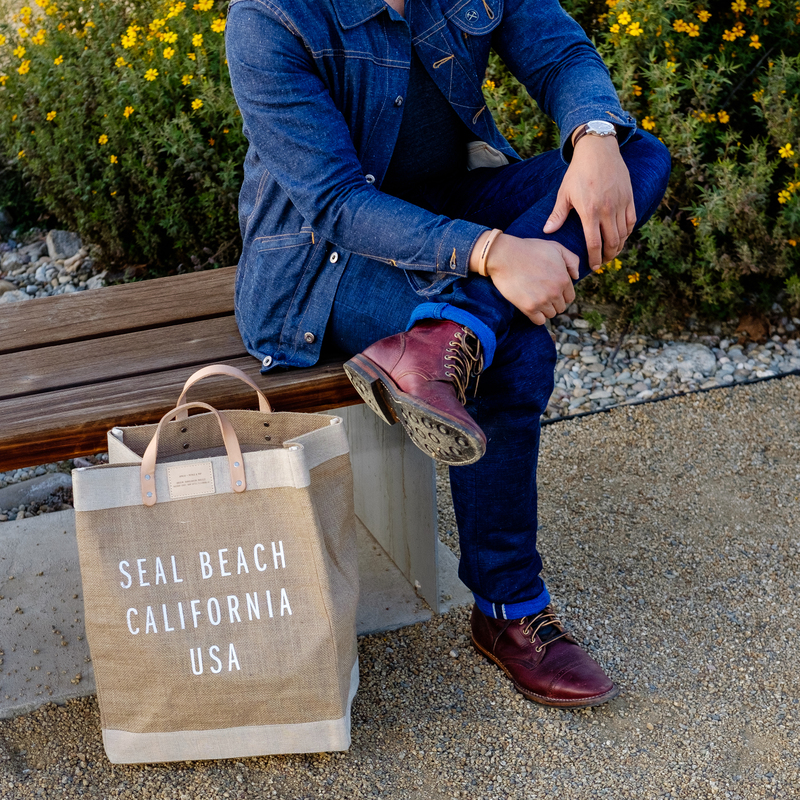 Co-founder Raan Parton started with an idea to make a waterproof grocery bag to eventually become a line that has sold over 100,000 units. It has created jobs and security for mothers working in their factory in Bangladesh. 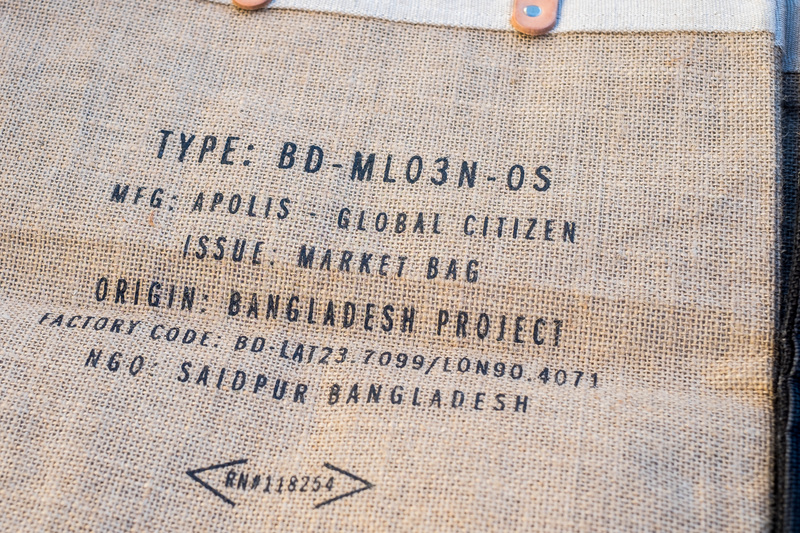 I first learned of the Apolis Market Bag after purchasing my first Apolis Wool CPO Shirt in 2012. Sophia Bush, actress and activist, helped publicize the bag by designing her own (Defend Tomorrow) which helped launch the Defend Tomorrow Initiative. I loved the simplicity of the bag design. It wasn’t until I moved down to Los Angeles in 2014 that I was able to get one of the bags. 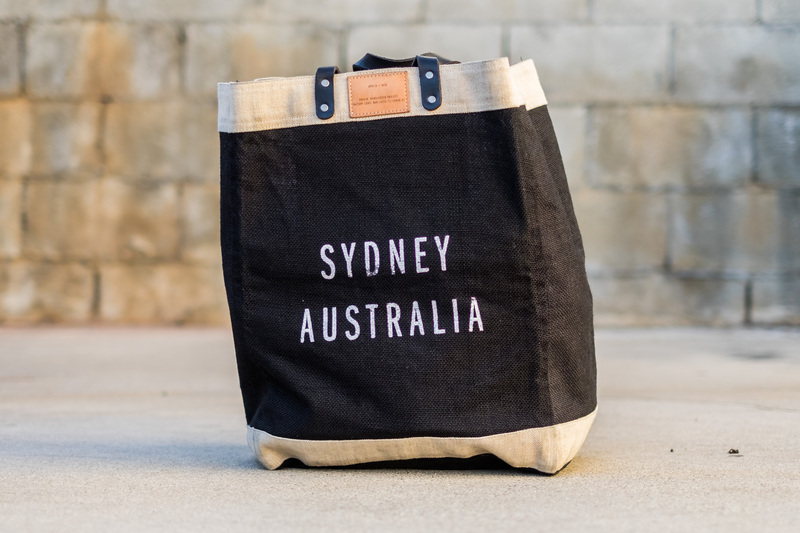 What I like about Apolis is that every Market Bag is collaborated with a smaller brand or a boutique local to the location or motto printed on the bag. 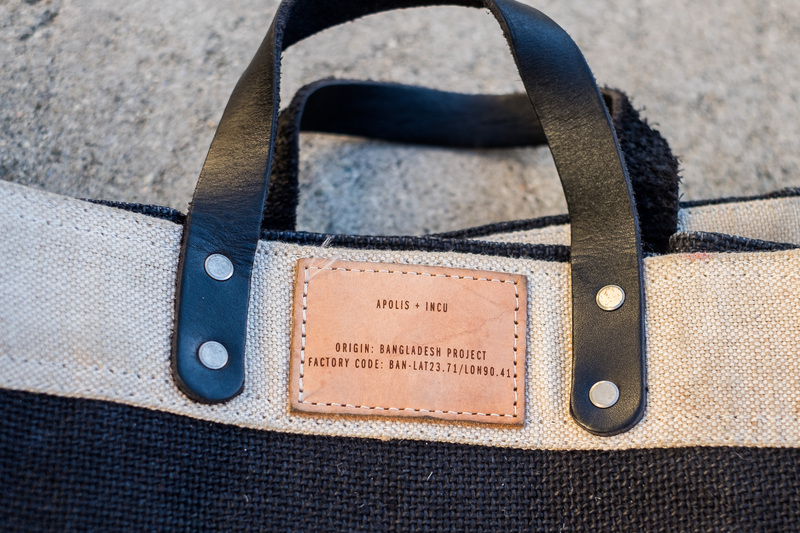 By purchasing one of their bags, you become part of the Apolis Bangladesh Project, helping support fair wages to female artisans. I attended one of their sample sales (held annually) located in a warehouse in the Arts District of Los Angeles. There were tables with bags piled upon each with several boxes of more underneath. Not only were there market bags, but also wine totes, and smaller lunch bags. Each bag was priced at $35 USD, but if you purchased 3 bags, the price was discounted to $90 USD. I rummaged through the stacks and noticed there were not any bags from the more popular cities (NYC, LA, SF), but there were various bags from lesser populated cities. I picked up 3 of the bags I liked the most. 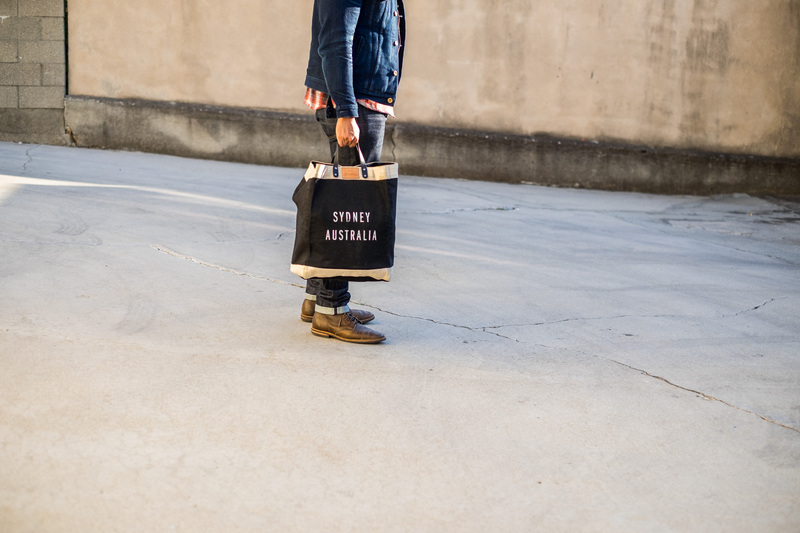 The Apolis Market Bags are by far my most complimented item. In California, there’s a plastic bag ban, so you must bring your own bag or pay to purchase a paper bag. 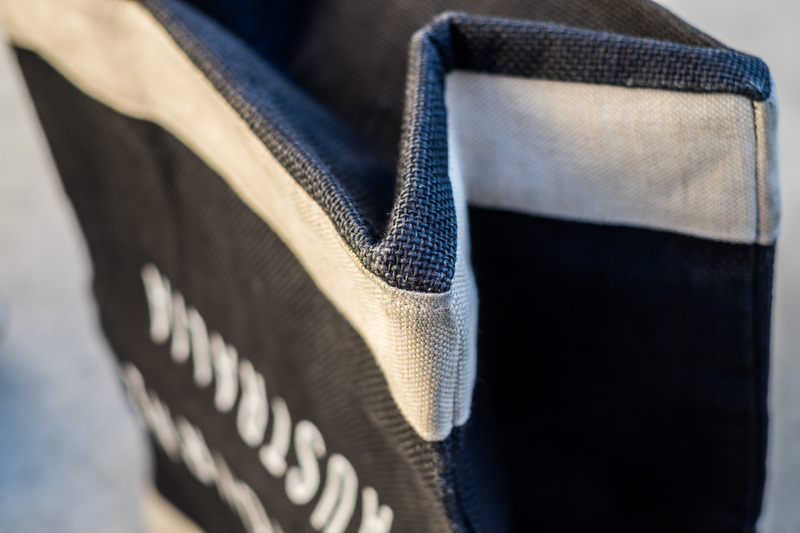 The cashiers usually compliment my Apolis Market Bag being a really sturdy bag. 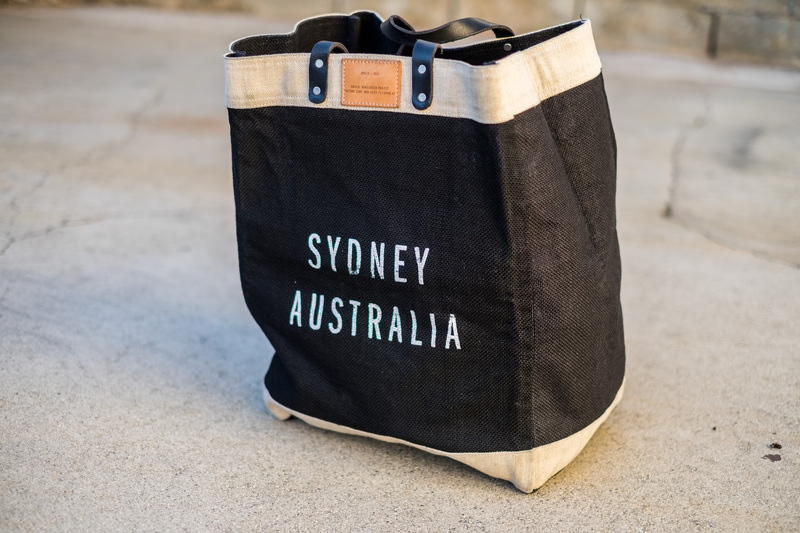 Accessorizing with your grocery bag adds a little personality to your necessary grocery shopping. The design of the bag is very simple. The exterior is made out of durable jute fibers, and the interior is fully lined with polyurethane that is water resistant. The texture reminds me of tarp used in tents. The handles are made of two short leather pieces riveted to the bag and are only long enough to carry by the handles. 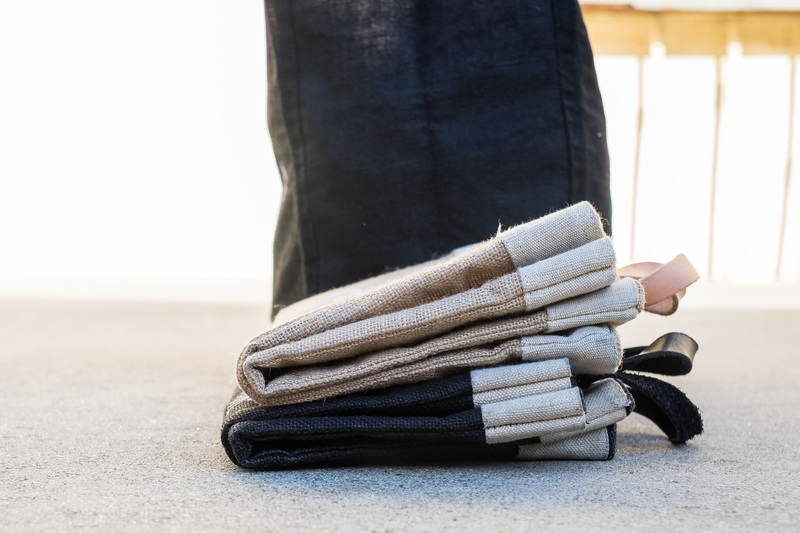 The natural leather handles darken quickly from your hands and water, and they also soften up.More recently, Apolis came out with bags with longer straps intended to also be capable of carrying over your shoulder like a traditional tote. 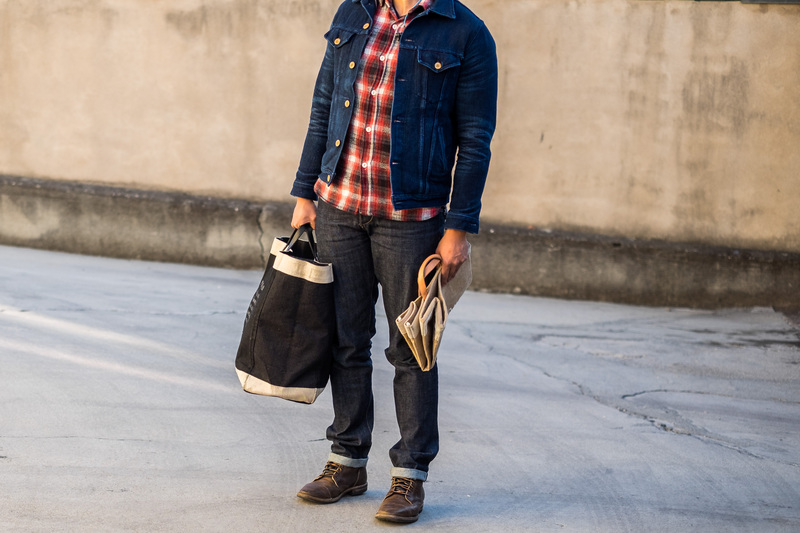 Carrying the bag over your shoulder does free up your hands, but I feel there’s less chance of injury if you carry it by the handles and not over the shoulder. 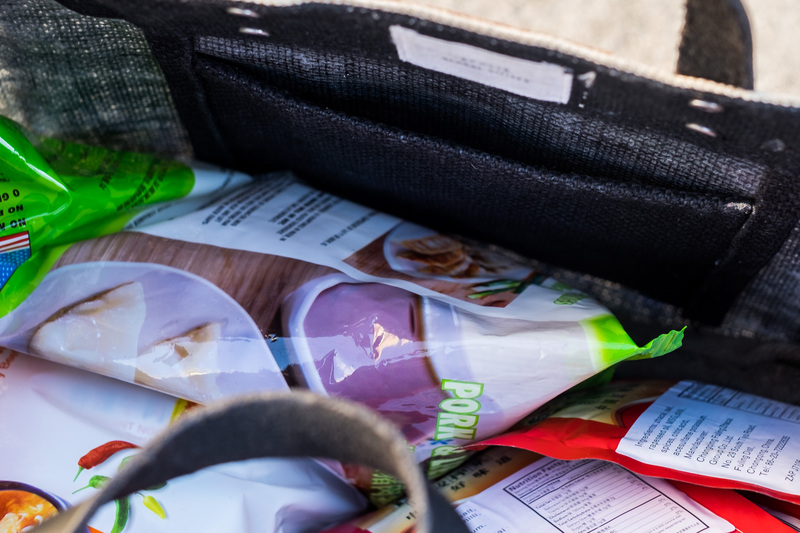 Also on the interior, there’s a small flat pouch at the top just likely to stuff receipts. One side of the exterior has a stamped of the bag’s item code/style, the latitude and longitude of their factory, and also the origin. If you look up the coordinates (23.7099,90.4071) on a map, it really does point to a busy street in Bangladesh! This printed side reminds me of standards and specifications listed for the military. On the other side is usually the city of where the other collaboratoring brand is located. I like to fold my bags in half lengthwise to make it easier to carry and store. Some of my heaviest hauls included several wines and 6-packs of beers. 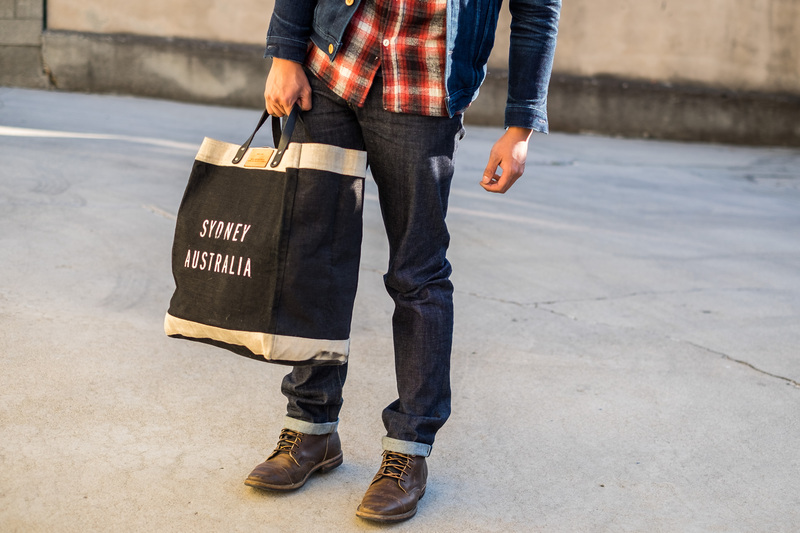 Apolis lists that you can carry at least 135lbs in the bag! By comparison, a 5 gallon water jug is about 40-50 lbs and I don’t think I’ve come close in weight. 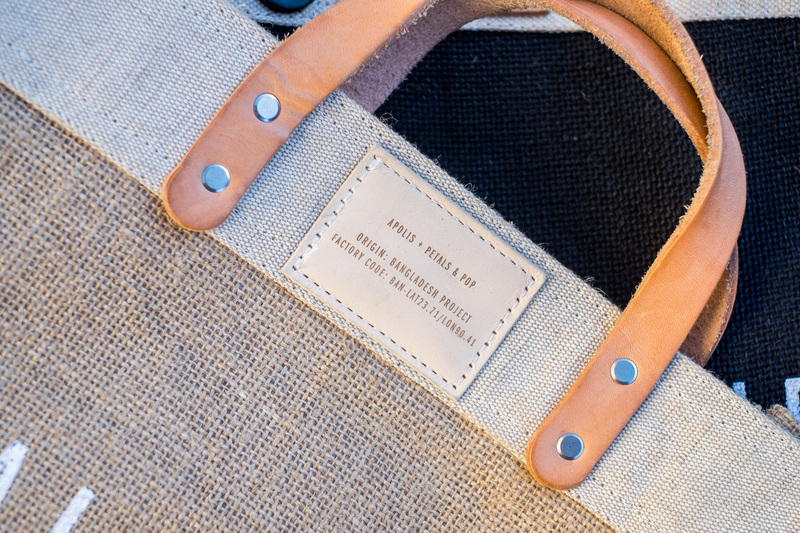 The jute fibers are quite heavy duty and the most wear I’ve seen is at the corners of the bottom of the bag exterior. In terms of the waterproof liner, I feel that it isn’t 100% effective. Over time, the area likely to “fail” first is the liner flaking into pieces on the inside. One of my bags was stained significantly and I tried to hand wash/spot clean it. It worked pretty well. I wouldn’t recommend submerging the whole bag in water. 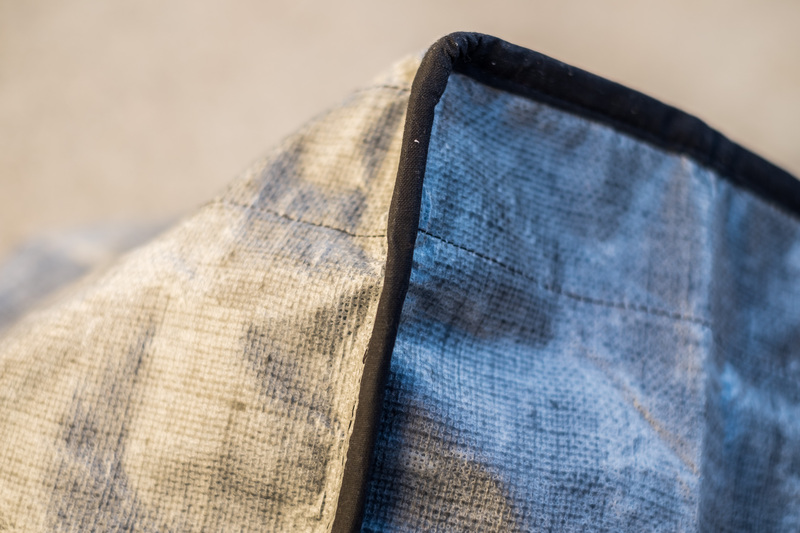 You can use a lower heat and iron the exterior of the bag for the wrinkles. 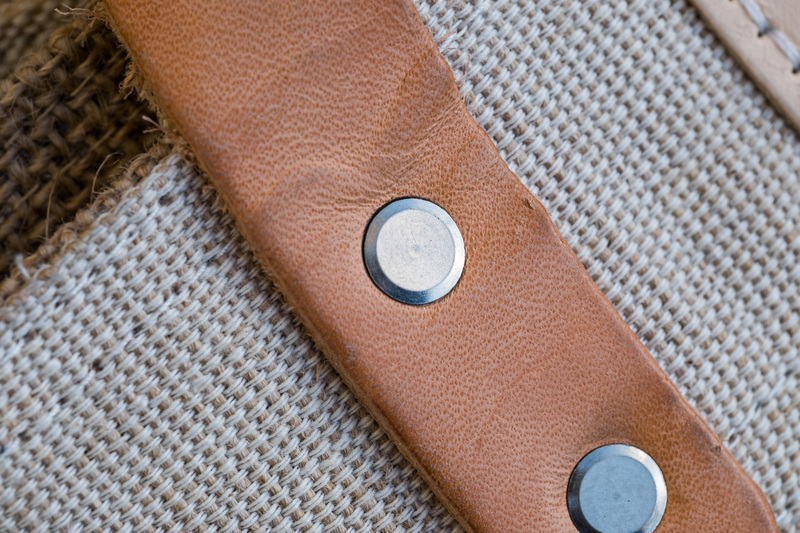 The natural leather handles darken quickly from your hands and water, and they also soften up. Many of the leather handles on bags at the sample sale had varying thicknesses. It’s a hit or miss whether you get thicker straps or thinner straps that wrinkle more easily. 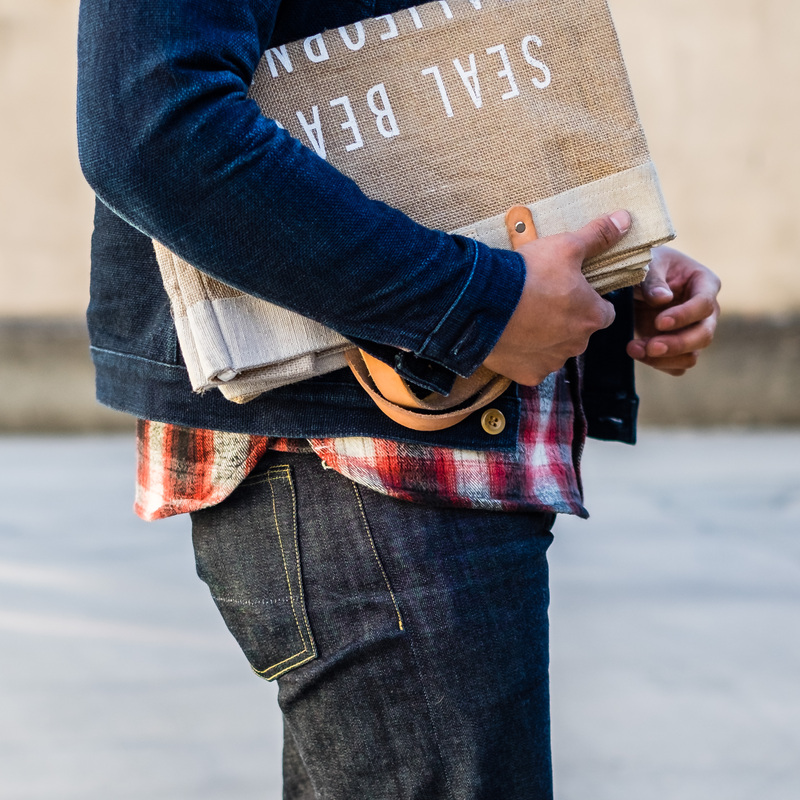 I love the Apolis Market bags and use them almost daily. You don’t only have to use them for groceries/food, I’ve used them as temporary gym bags (haha) or just to transport items. 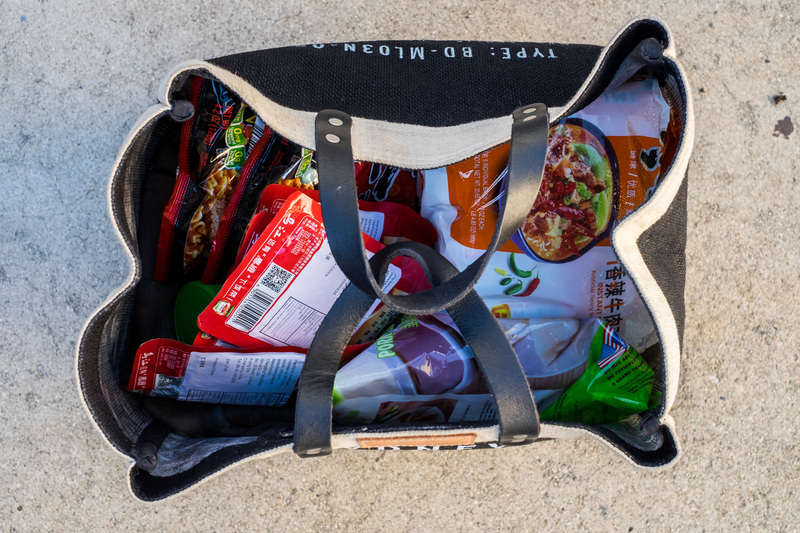 It’s a great bag you can carry to your local farmer’s market. 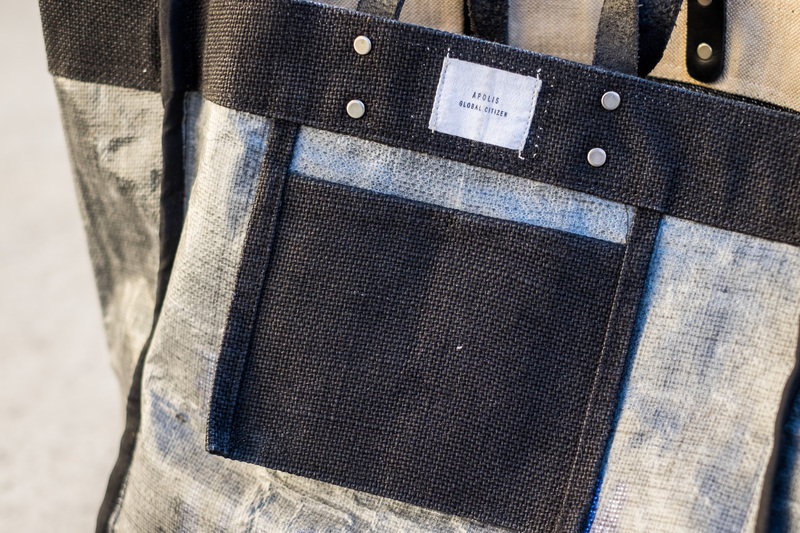 More recently, Apolis expanded the colors available to the market bag – now adding Charcoal and Black. I’ve picked up a couple more Black Market Bags at later sample sales, and I like the black bags more than the natural. Although the natural seems more in tune with a “market bag”, the darker color fits my style more. 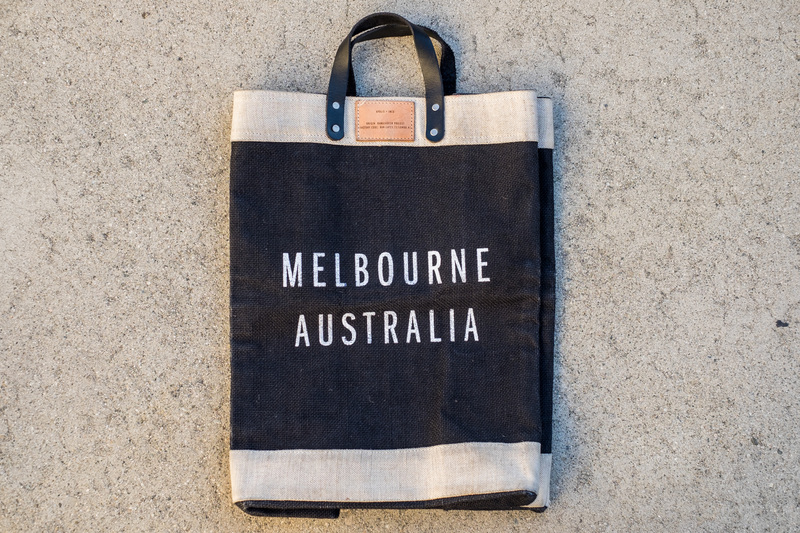 They tend to hide stains on the jute and the leather handles are dark to match. 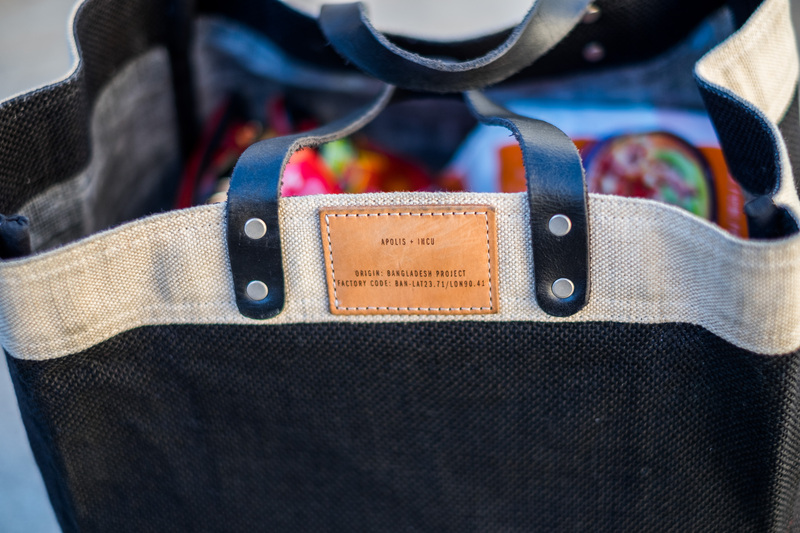 In addition, Apolis offers more affordable Simple Market Bags ($38 USD) in which the handles are some kind of woven cotton instead of leather. Also an adjustable strap Market Carrier Tote ($78 USD) to change lengths of the handles. 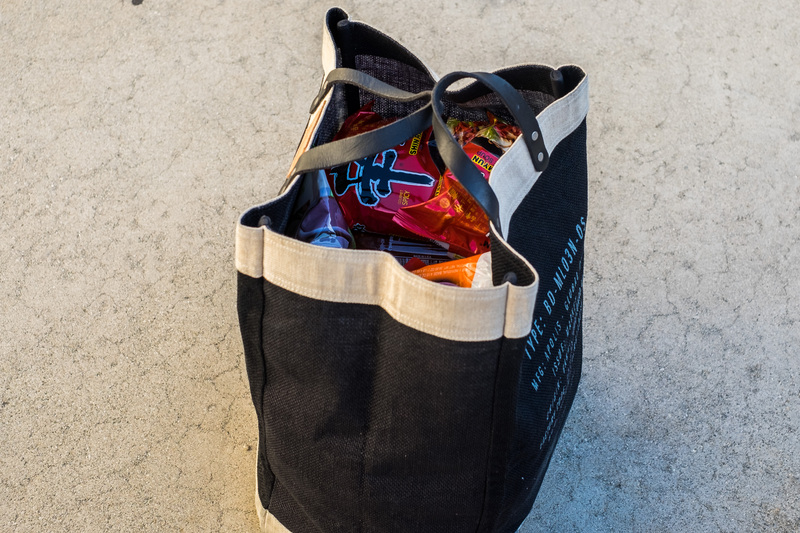 For an additional $10 from the regular tote, I like the option of being able to carry by the handles and also over the shoulder. However, with the straps being relatively thin, heavier loads might dig into your shoulder!